Grab a Sapphire Radeon RX Vega 64 for $400 at Newegg today, or the RX Vega 56 for $410 at Amazon. Amazon’s awesome 12 days of Christmas sale just keeps rolling along. Just two days after its latest gaming hardware sale, a new PC components and accessories sale has landed, and it might be even better for gamers. Our top three deals today are all graphics cards—with an extra special deal from Newegg thrown in, because, well, we can't resist. First up, is a set of 4GB AMD Radeon RX 580 graphic cards. The plain old Gigabyte Radeon RX 580Remove non-product link and the Gigabyte Aorus Radeon RX 580Remove non-product link are both $185 today. These cards have dual-fans with Gigabyte’s Windforce 2x blade fan design, and they feature the company’s RGB fusion customizable lighting. The Aorus version has a slightly higher clock speed, but both will work fantastically well for no compromises 1080p gaming at 60 frames per second (fps). Nvidia’s GeForce GTX 1060 is the Team Green equivalent of the RX 580, and with AMD card prices dropping so low for so long, we’re finally seeing competitive pricing on the 1060 side. Amazon’s one-day sale includes the Zotac GeForce GTX 1060 AMP Edition for $229Remove non-product link. That’s not quite as good as the RX 580 deals we’ve seen lately, but it’s close to the 580’s pre-Black Friday price and about $41 off the 1060’s most recent best price. Like the RX 580, you can expect no-compromise 1080p gaming with this card, plus all of Nvidia’s extras such as Ansel and Highlights. Before we get to our final Amazon deal, let’s quickly switch gears to Newegg where there’s a jaw dropping graphics card deal. 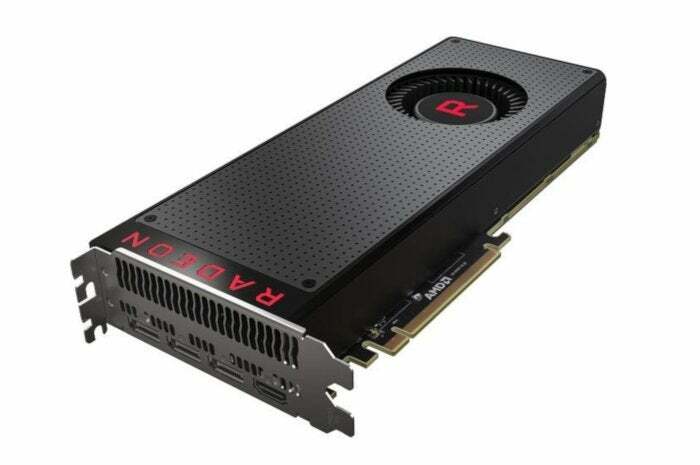 The Sapphire Radeon RX Vega 64 is $400Remove non-product link, plus you get three free games including The Division 2, Resident Evil 2, and Devil May Cry 5 (all three launch in 2019). The Vega 64 usually sells for around $470, depending on the model, so this is a great deal even without the free games. The RX Vega 64 is an awesome card for 1440p gaming at 144Hz with the settings maxed or entry-level 4K gaming. Newegg’s deal is good for an extra 24 hours beyond Amazon's deals. If Newegg’s deal sells out and you don’t mind a step down then it’s back to Amazon where the Asus ROG Strix 8GB RX Vega 56 is $410Remove non-product link. That’s this card’s all-time low at Amazon, and more than $125 off its most recent price. With the RX Vega 56 you can expect 1440p gaming at 60 frames per second or 1080p gaming with all the settings maxed and framerates north of 60. This card has the same three free games offer as the RX Vega 64. So, if you're looking for a new graphics card, today’s a great day to grab one, especially if you didn’t catch the sales on Black Friday and Cyber Monday. Don’t miss it.